This 50 minute intermediate hatha yoga class is for neck and shoulder pain. This hatha yoga class combines yoga postures and yoga asanas which are specific neck pain exercises, breath practices or pranayama, mudra, and the Ayur Dehi mantra, to nourish your speech. In today’s yoga class we will focus specifically on chronic neck pain in order to create resonant speech that nurtures and nourishes those you share communication with. Yoga postures for neck muscle pain and sounding for neck ache and jaw help to create space in your throat for full and enriching speech. Gentle yoga asana gradually release your neck and shoulder pain to prepare you for shoulderstand. Chanting of the Ayur Dehi mantra helps to create better communication skills. This week we focus on the eighth line of the mantra, vacam dhehi, May my speech be nourished. 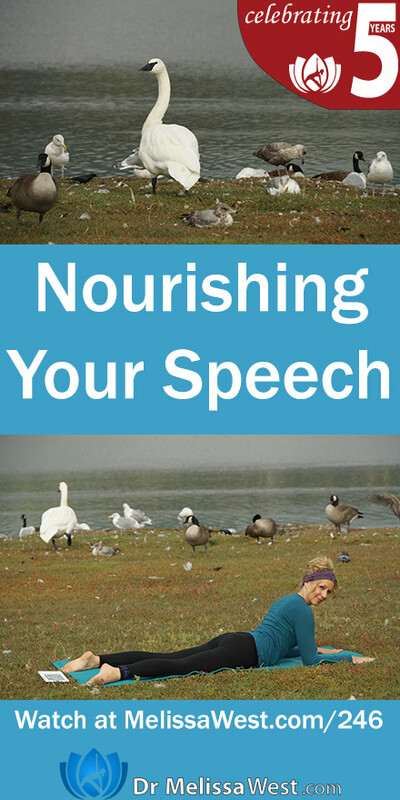 What does it mean to have nourishing speech? 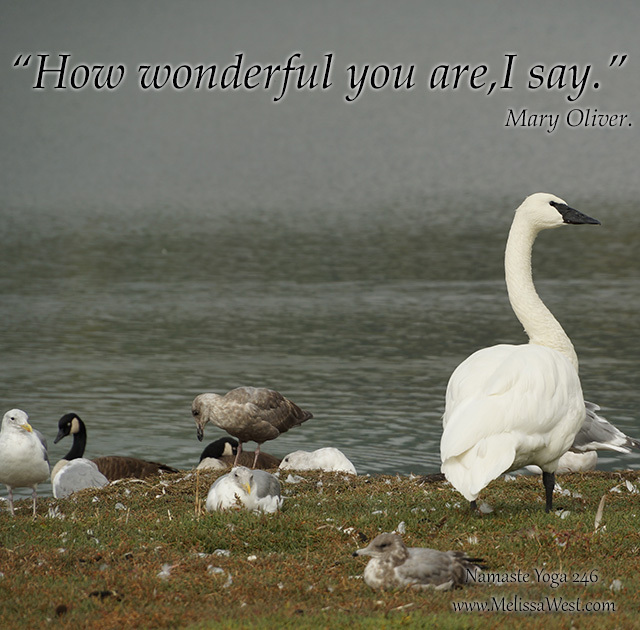 Do your words nurture and nourish others? Are they loving and kind? Do they follow the first yama, of ahimsa, nonviolence? For example we could say we shot an episode of Namaste Yoga today. But, I always prefer to say, we filmed an episode of Namaste Yoga today. 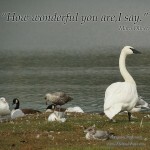 Is your speech positive and uplifting? Do you listen as much as you speak or do you talk excessively, perhaps mostly about yourself or maybe even indulge in gossip? Sometimes being unable to hold silence can be very unnourishing because it doesn’t give quieter people the space to speak. Additionally, holding confidences and being trustworthy in your communication both in speaking and listening is a huge part of nourishing speech. Part of nourishing speech is having a full resonant voice, communicating clearly with yourself and others and being a good listener. This week I challenge you to notice both the way in which you speak, the sound of your voice and the sound of the silence and spaciousness when you are not speaking. You may even want to challenge yourself to take a vow of silence for an hour, two hours, half a day or even a day. On our membership site we have an at-home Self-Retreat with instructions on how to take a day of silence. Creating the space for your voice and giving it a rest can do wonders for its resonance.